It is no surprise that children dislike wearing braces. The idea of having a cumbersome and obvious set of metal brackets in the mouth that limits what one can eat is not pleasant. However, braces are crucial for children and teens that need straighter teeth. Fortunately, braces are smaller and more compact than ever before. Patients will not need to wear the braces for nearly as long as in the past. Patients do not need to be afraid that the braces will be obvious since they can even choose clear colors to help the braces blend in with the teeth. 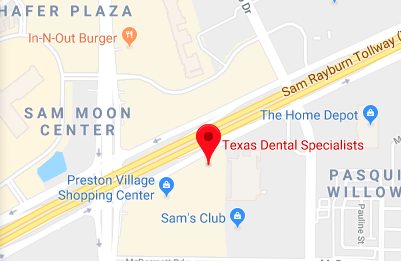 Texas Dental Specialists has a list of tips you can use to get your child excited about receiving braces, so they do not dread their next appointment and straightening treatment. From an adult's point of view, the braces are crucial for the child's oral health. Thus, parents can explain that braces will straighten the teeth for a healthier and better-looking smile. Crooked teeth can trap food and plaque in difficult-to-reach places and cause an infection. The braces will help to straighten the teeth to make cleaning easier. We will also help the parent explain the entire straightening process with his or her child, so the child knows exactly what to expect going forward. The child will only experience a minor amount of pain after receiving braces. We can offer suggestions for treatment of the soreness if necessary. Getting braces may be scary at first, but it can also be a fun experience. Tell your child that they will be able to customize the bands on their braces to their mood and current interests. If a holiday is coming up, like Halloween, they can make their bands black and orange, so they look more festive. If they have a favorite football team, they can color code accordingly. Many patients enjoy this aspect of having braces because it allows them to be themselves and embrace their uniqueness. Parents can also offer their child some hot chocolate or a milkshake to help soothe any soreness from the braces. This gets children excited about the prospect of getting treats when they are feeling down. Make sure to keep up with healthy oral care after these treats, though, so cavities do not develop. If the child's main concern is that they will be made fun of, tell them that bullying is only a possibility. In most cases, there is only a bit of teasing since the braces are not nearly as large as some people think. Parents can help the child focus on the fact that soon enough, their teeth will look straighter and more perfect. This fact will give the child more confidence than they would have with crooked or crowded teeth. Also, remind the child that braces are temporary, and it is worth the wait. The best thing you can do for your child who is concerned about braces is to fully prepare them for what to expect. Encouraging confidence and making your child feel special will make the process the smoothest it can be. They will thank you in the future. Often when people come in to see an orthodontist, they have a lot of questions. Many of these come from some myths and legends that are present in society and have very little basis in reality. With the advances in medical science, orthodontists now have the ability to make major changes and give a person the smile they desire. As the process advances, the technology advances with it to provide a more comfortable experience. Is orthodontics only for children? No, but it is potentially more difficult to straighten or align an adult's teeth than a child's. In a sense, braces are not just for kids anymore. Adults have the option and opportunity to get straighten their teeth without needing to wear braces. Patients may need to wear them slightly longer or maintain using a retainer afterward, but the results are still effective. Are braces painful and do they take a long time to fix a person's teeth? No, when it comes to pain, most people quickly adjust to the braces and report only minimal levels of discomfort. Technological advances make braces far less cumbersome and more comfortable to wear than in the past. Orthodontics is a science, and also a bit of an art. It is a science because everything that is done is very precise and carried on by a highly trained and skilled orthodontist. It is an art because the straightening process and the length of time it takes for the treatment to be effective depends on the individual patient. Hence, it is impossible to say just how long a treatment could last. We have had clients that only require braces for a few months and others that have had to wear them for years. Is it embarrassing to wear braces? Orthodontics has improved significantly over the last several decades. Today, orthodontists have a number of options to hide the braces. In some cases, the braces can be installed behind the teeth, making them virtually impossible to see. There are also clear ceramic braces available which are almost completely invisible when they are in the mouth. Clear aligners are another option since they look like a clear retainer and are virtually invisible. Can't my dentist just straighten my teeth? An orthodontist is a dentist first and foremost. However, after completing dental school an orthodontist has to go on and take an additional two or three years of school with a specific focus on orthodontics. They learn about jaw alignment, teeth straightening, retainers, braces, and aligners just to name a few. Orthodontists also spend a lot of time studying, throughout their career, the latest techniques and getting to understand the newest technology so that they can provide patients with the best treatment possible. If you are interested in straightening your teeth, schedule an appointment to speak with an orthodontist and have all of your remaining questions answered. We can provide you with clear aligners at our Plano orthodontics office as a convenient way to straighten your teeth. If you dream of having a straight smile but are not willing to deal with the inconvenience of traditional braces, wearing aligners is an excellent alternative. Clear aligners look similar to a clear retainer that surrounds your teeth. They work using the same general principle as traditional braces – they apply pressure to the teeth in order to gradually move them into position. The only difference is that the aligners are not affixed to your teeth like the metal brackets are. To keep your teeth moving in the right direction, you will need to switch out your aligners every two weeks or so, and each aligner will be slightly different from the one before it so that your teeth continue to straighten. Since you are supposed to take your aligners out to brush your teeth, you simply need to rinse them and place them in a case while you brush and floss. Be sure to brush your teeth every time that you eat so that you are not trapping food particles or bacteria in between your teeth and your aligners. You should also floss at least once per day. For the best possible clean, use an electronic toothbrush and a fluoride toothpaste. However, you do not want to use toothpaste on your aligners since this can scratch them. Patients can remove clear aligners during meals. Patients wearing clear aligners can eat a plate of ribs or take a big bite of a hamburger without worrying about food sticking between brackets. This can be embarrassing and is one reason that many adults choose not to wear braces. People wearing clear aligners never have this inconvenience when wearing aligners as long as one removes them before eating. When you wear clear aligners, you can smile without it being obvious that you are undergoing an orthodontic treatment. What will be obvious is that your smile is looking better. Since the aligners are clear, you can see the position of your teeth. This is a huge benefit because as your teeth become straighter, your appearance will improve, rather than you waiting until the very end to benefit from the changes. If you are making a major presentation at work, or you are in your cousin's wedding, you can take your aligners out. Clear aligners at our orthodontics office give you the flexibility to make your own decision regarding what events are too important to wear your aligners. Just remember to put them back in as soon as you are done so that your treatment plan can stay on schedule. For more information or to find out if clear aligners are the right solution for you, call us at (214) 619-6329 and schedule a consultation. If you have an incorrectly positioned jaw or teeth, our orthodontics office in Plano can help. We offer a variety of straightening techniques that can completely alter and align any dental imperfections. One of the most utilized methods we offer is traditional braces. Traditional braces are an age-old orthodontic solution that works wonders for our patients' teeth. If you want more attractive and straighter teeth, you should consider wearing them. With traditional braces, there is no guess work. Metal braces have been around since the early 1900s. Different types of metal were used back then, but the results were still straightened dental structures. Traditional metal braces may be more noticeable than other straightening options but are a solid straightening solution that is proven to work. People may not realize how negatively a set of crooked teeth can hinder one's confidence. Many people spend their lives trying to hide their smiles due to embarrassment. Once we correct the alignment of a patient's teeth with braces, the patient will be able to smile without hindrance. In many cases, the patient's confidence levels will skyrocket due to the new appearance. Many people struggle with periodontal disease due to their misaligned teeth. Periodontal disease is a detrimental infection of the gums and the tissues that hold the teeth in place. This type of infection can create thousands of dollars in dental bills, leading to the loss of several of the original teeth and receding gums. Do not wait until the teeth are falling out when one can fix the problem now before these issues occur. Crooked teeth also often result in plaque buildup that can decay the teeth and require several visits to the dentist for treatment. Once we straighten the patient's teeth, the patient will be able to properly clean every surface and between the teeth to avoid dental illnesses. With misaligned teeth, patients will discover that it is harder to thoroughly chew food. When it requires more muscle power to chew food properly, it can result in headaches. Many people experience headaches on a daily basis without realizing it is caused by misaligned teeth. These examples are just a few of the many benefits of allowing our orthodontics office in Plano to treat one's problematic teeth. With this treatment, patients will immediately notice a difference in how one feels and how easy it is to care for the teeth. It may cost time and money to get braces, but the steps will be worth it. With straight, you will have an easier time taking care of your teeth. As a provider of orthodontics, we have the expertise to diagnose symptoms that may seem unconnected to the mouth, and connect them back to the jaw bone. A misaligned jaw may or may not manifest itself with traditional symptoms. The jawbone, being in the face, has been known to cause problems to the overall health of a person. For example, the jawbone being misaligned can be diagnosed from symptoms that may include migraine headaches, bouts of dizziness, and even severe pain in the neck and shoulders. There have even been cases of people with tinnitus, an extreme ringing in the ears, finding relief after getting their jaw realigned properly. Even among orthodontists there are specialists who focus on different areas of the teeth and jaws. Most of the work an orthodontist does is concentrated on the teeth themselves and helping to move the jaw based on the alignment of the teeth, also known as the bite. There are, however, a school of orthodontics that is specifically focused on aligning the jaw and is known as Dentofacial orthodontics. Dentofacial orthodontics attempts to correct the misalignment of the jawbone itself. More often than not these practices are more effective in children, but there are also ways to correct misalignment in the jawbone of adults using these methods and oral surgical procedures. Children are by far the best candidates for having their jaw alignment changed before it grows into a misaligned problem. Orthodontists can work with a child's jaw, using a variety of tools, so that it never grows in the wrong position. If we suspect that a child's jaw is growing into a bad alignment, usually as determined by misaligned teeth and adult teeth coming in badly positioned, we can immediately take Dentofacial corrective measures. A child's jawbone is still soft and can be manipulated to affect both the development of the jaw and the incoming growth of the teeth. In our orthodontics office, one of they ways that we accomplish this is by using an expander to create enough room for all of the teeth or using rubber bands to manipulate the position of the jaw itself. For adults, whose jaw has already developed and hardened it is a little bit more complicated to realign the jaw. Typically braces and addressing the bite itself can be used to straighten teeth. However, if we determine that your jaw bone itself is the cause of the misalignment and if you have other problems arising from the misaligned jaw, then we may recommend using Dentofacial corrective measures as well. Often, adult oral surgery is the only way to correct a jaw misalignment. In this case, an oral surgeon will make the corrective adjustments to the jaw and then we will put on braces for you to complete the alignment and correction of the teeth. As with children, aligning the jaw before beginning the alignment of the teeth makes it much easier to give you that brilliant smile. Age is not the only determining factor for correcting a jaw that may be misaligned. While the initial orthodontics treatments may be influenced by the patients age, ultimately once the jaw bone has been properly aligned you will start feeling more comfortable and the appearance of your teeth and smile may improve as well.